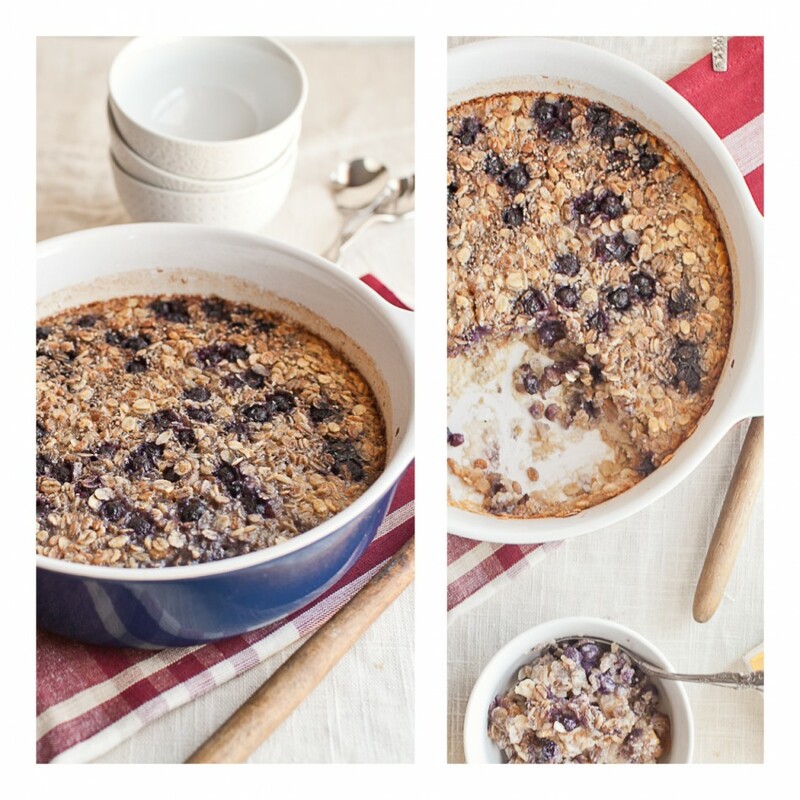 Three-Grain Breakfast Bake | Naturally. 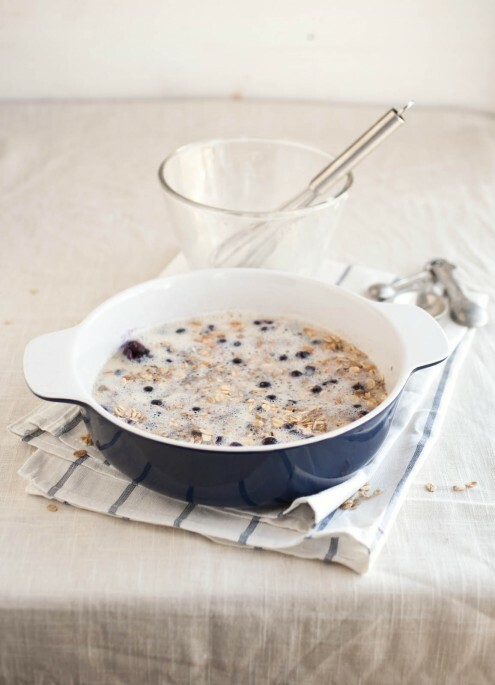 In a large skillet over medium-low heat combine rye, barley, oatmeal, and pecans. Lightly toast for 5-6 minutes. Remove from heat and combine with flaxseeds, cinnamon, salt, and baking powder. Prepare an 8×8 dish by lightly buttering the surface. Place half the fruit in the bottom of the dish and cover with grain mixture. In a separate bowl whisk together milk, eggs, melted butter, and maple syrup. Pour evenly over grains and fruit. Finish by sprinkling remaining fruit on top. Bake for 45-50 minutes. The grains should be set and the top should be golden brown. Serve immediately with milk, heavy cream, extra sweetener, or more fruit. Man, I could eat all of this. Love how healthy this looks! I cannot wait to try! I love breakfast food and could it eat any time of the day without feeling guilty. All these ingredients together sound so good. Can’t wait to try it! You are blowing me away. I want to make everything you’ve posted in the last two months. Everything! Hope you feel better soon Erin! Thank you! I’ll have to try the ginger! This looks so good! I love a warm, hearty breakfast! Looks so warm and healthy…the perfect breakfast! What an interesting idea! I can’t wait to try this. What are rye flakes and barley flakes? Could I do all oatmeal? You can! 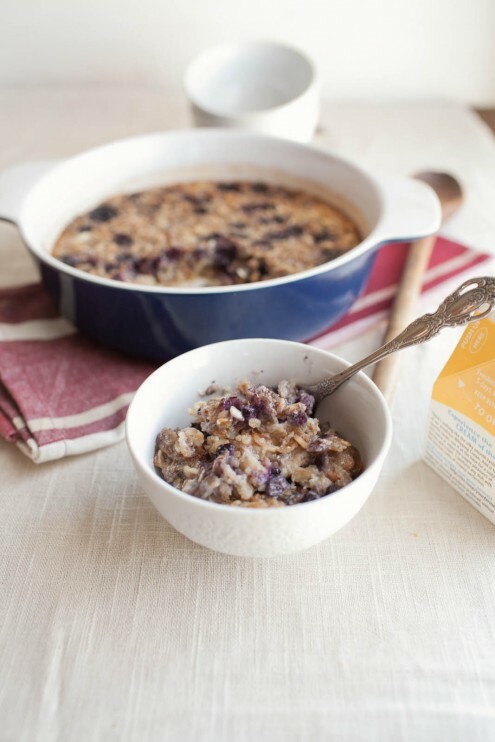 In bulk bins you can often find rye and barley flakes (grains come from berries that are sliced or ground down) but if you can’t find them, you can always used all oatmeal! I hope you feel better soon, Ella! 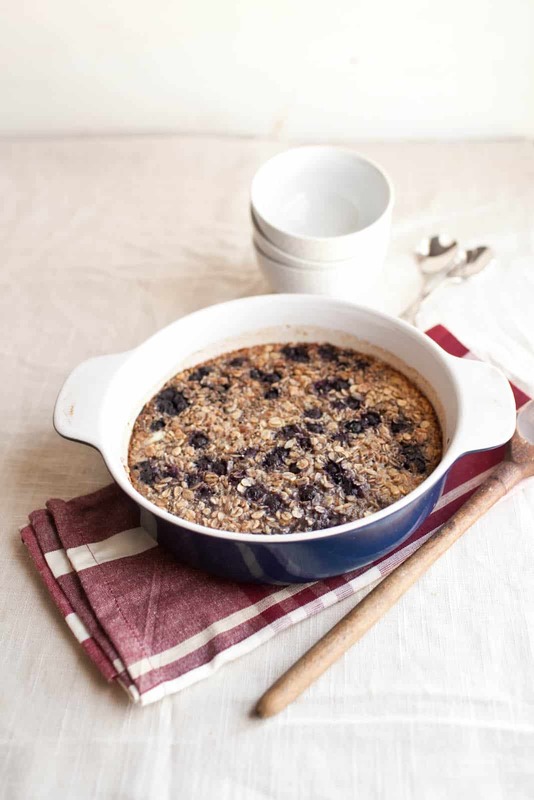 This does sound kind of like the perfect thing to wake up to on a weekend morning – hearty, wholesome, and super tasty.